If you’re in the market for an affordable and simple way to stream content on your television, you’ve most likely come across the Google Chromecast. But unlike other media players, the Google Chromecast might seem a little odd since there’s no remote or any sort of TV interface. So what is a Google Chromecast and is it the right streaming device for you? Chromecast is a line of streaming dongles by Google. They can be plugged into any television or monitor through a standard HDMI port. Once configured, you can stream audio or video wirelessly to a bigger screen from your phone, computer, or even a Google Home device. Google Chromecast connects over Wi-Fi and is entirely controlled by another device like a smartphone instead of a dedicated remote. Hence, there’s also no special TV interface or a steep learning curve. You boot it, pair the network, and you’re up and running in a few minutes. A Chromecast basically acts as a bridge between your TV and your phone or tablet. It draws power from a Micro-B USB input, the adapter for which Google bundles in the box. A Chromecast is built on top of Google’s own proprietary protocol called Cast. It’s designed to let devices (such as your smartphone) easily mirror their content onto a screen or a smart speaker. Announced back in 2013, Google Cast has since been integrated into nearly every major app and platform. Whenever there’s a Cast-enabled receiver like Chromecast on the same Wi-Fi network as your phone or computer, the compatible app will show a Cast icon. You can tap that icon and beam the content you’re watching directly to the Chromecast. Since the Chromecast itself is also paired with the internet connection, your phone shares the URL of the content. Because of that, the process is almost instant and you won’t face any delays. Which Platforms and Apps Support Chromecast? Google Cast is technically platform-agnostic since it’s based on Wi-Fi. Therefore, if the developer decides to add compatibility, the underlying platform won’t be an issue. 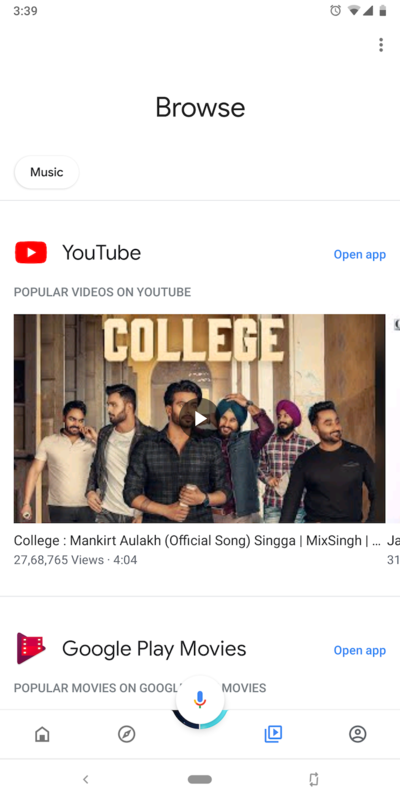 So for instance, you’ll find the Cast button on YouTube irrespective of whether you’re browsing the website on your computer through Google Chrome or the app on your iOS/Android smartphone. Beside Google’s own YouTube, many platforms have Cast compatibility including Netflix, Spotify, Facebook, and more. As you may have discovered, Amazon Prime Video doesn’t work on Chromecast. However, there are a couple of ways around this. Hence, even if there’s a service that doesn’t Chromecast, you can employ the screen mirroring workaround. What Can a Chromecast Do? Chromecast lets you stream both audio and video to your television from a phone or computer in up to 4K resolution. In addition, you can mirror just about anything else like pictures from Google Photos. Plus, if you’re using Android or Google Chrome, you can mirror your screen to demonstrate a presentation or show something else on a bigger screen. It doesn’t have an online service either. You can cast local media files to Chrome too through apps. Chromecast has lots of top games to play on your TV with your phone or tablet. Here’s the best Chromecast games available on Android and iPhone.
. That feature can come in handy for when you want to engage in a multiplayer round with friends at a party and also display it for others to watch. The collection isn’t as vast as one would hope but a few notable titles such as Monopoly and Angry Birds Friends are available. When it’s ideal, you can even run an automated slideshow of your pictures on a Chromecast-connected screen. Apart from manual control, Chromecasts can be used through the Google Assistant as well. So you can simply say “Play Stranger Things on Netflix on Living Room TV” to your phone or a Google Home device and the stream will be pulled up on the television without you lifting a finger. A Chromecast has several enticing features. But for bringing it to such a low price point, Google has made some cuts, which is why it’s not for everyone. For starters, there’s no remote or a TV interface. So if you’re someone who prefers to browse all the available platforms in one place before deciding what to watch, a Chromecast is not for you. Furthermore, you’ll be controlling it with your phone which is fine in most scenarios. But there are times when you’d like to quickly hit pause or switch channels. In those cases, a dedicated remote with physical buttons is much more convenient than unlocking a phone. There’s also no common search you can utilize like you would on a Fire TV Stick or Roku. 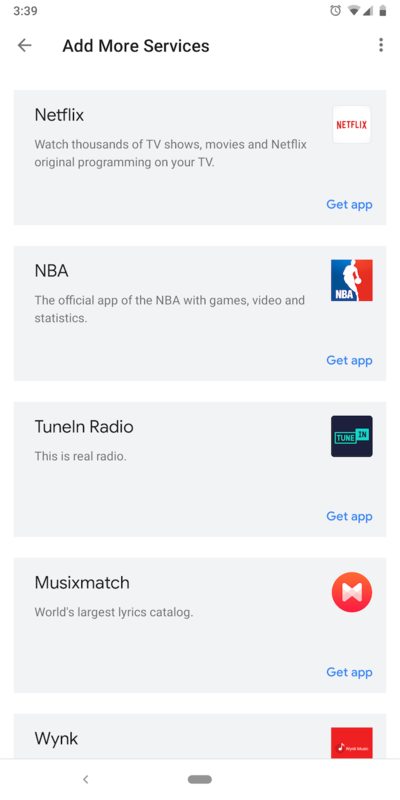 You’ll have to go into individual apps and look up content separately. While the Google Home app tries to solve this issue, it’s not perfect yet. Which Chromecast Should I Buy? Alright, you’ve realized a Chromecast is right for what you’re looking for. Now it’s time to decide which one to buy. You’ve two options. The entry-level $35 Google Chromecast and the $70 Chromecast Ultra. Both come with roughly the same set of specifications. However, there are three key differences. For double the price, the Chromecast Ultra allows you to stream 4K and HDR content. On top of that, it has an Ethernet port if you’d like to connect a router for faster bandwidths. The Chromecast Ultra is slated to support Google’s upcoming Stadia platform as well whenever it arrives. The regular Chromecast, on the other hand, is smaller in size and can stream 1080p content. Unless you’re interested in Google’s gaming platform or streaming 4K content, the basic Chromecast should suffice. If you just got a Chromecast, this is the everything-you-need-to-know guide for setting it up. Explore more about: 4K, Chromecast, Mirroring.